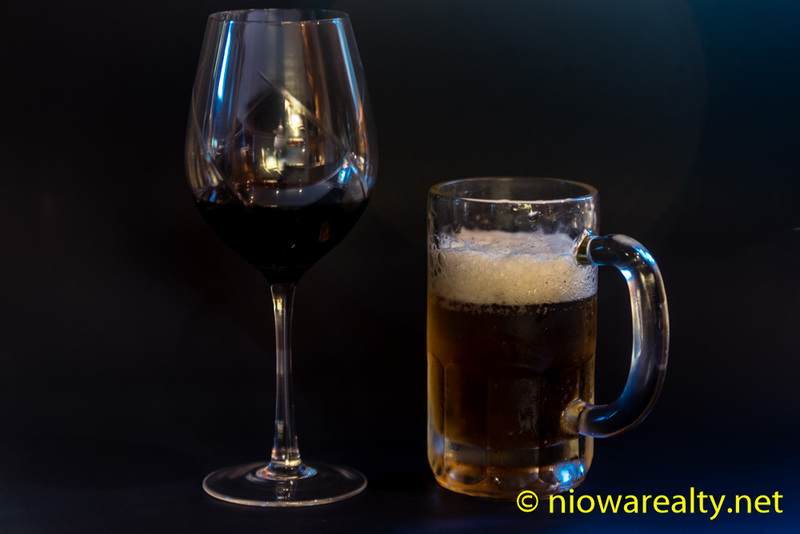 Share the post "A Taste for Beer or Wine"
One of the highlights of my morning was to go and pick up a gift that I’d decided some time ago to give to a dear friend of mine. When you’ve known and highly respected someone from your past, and then years later comes another along who shares many of the same tastes and mindset, then I consider it a message to do something for the current acquaintance as a sort of rekindling of remembrances from the past. It’s almost like paying forward for past memories. If one wouldn’t think it out fully, it could be considered a form of paying backwards. I’ve smiled to myself many times over the years when people have said to me after the extra work I did pro bono for them by saying, “I’ll make it up to you Joe.” It’s happened so many times over these years that as soon as those words pass their lips I dismiss it as nothing more than an easy exit out of being in a beholding state. When I delivered my gift to my friend I made sure that it was understood it was a gift with absolutely no strings attached. The idea of a gift being stringless re-kindles the meaning of selflessness. Today, I gave a selfless gift to someone who I know will cherish it without there ever being the slightest hint of a beholding. While driving away I had a wonderful feeling of having done something special and it was wonderful. I noticed today another by-product of there not having been a hard frost this past winter. The wasps and yellow-jacket bumble bees have increased their population considerably more than I’ve seen in a very long time, and we’re really not that far into summer when they really get pesky with their multiple hatchlings. I’ve been stung by both types and without a doubt, the yellow jacket bumble bees have the absolute worst sting; twice and hopefully never again. When my first brutally painful sting occurred, I thought I was turning into a super sensitive baby until I read later than their sting is considered the most painful. Whew! At least other victims understood the jolting pain that reaches far beyond the sting site. Just today I was dodging one that seemed to be in an aggressive mood. Yours truly can still move like greased lightening when a yellow jacket is on his heels. Be sure to keep a can of wasp/hornet spray on hand just in case you find one wanting to get you backed into a corner so to give you a good jab with his spike. One of my customers mentioned a time or two about the mentality of today’s buyers. She has them lumped into two groups; one group being those with beer taste and the other preferring wine. She must have sensed my confusion/ignorance regarding buyers being cast into two simple groups. While listening to her comparisons, I couldn’t help but remember similar buyers from each group with whom I’ve worked. Regarding the beer taste, I can remember many homes that were appealing to those with beer taste, and others with wine taste. Keep in mind, I have no partiality over each group but I can more clearly now see the differences. I remember a young gentleman who paid no attention to quality of construction or color schemes. That’s all he wanted was a big bedroom, a large back deck, and an attached garage where he could park his precious car with personalized license plates. I found the house and he was happy. On the flip side, I remember one particular couple who were upgrading to a larger home which had to be exceptionally well built, a finished room in the basement where the TV was to go, and lots of beautiful woodwork and many windows. After so many showings I did finally find one that fit the bill because that home had an enclosed patio offering enough room for a hot tub. They had a taste for wine. So I guess my customer is a bit right regarding the differences in residential preferences just by knowing if a buyer drinks wine or beer. Now don’t get any ideas. I’m not going to be asking any future prospective buyers if they have tastes for beer or wine. How could I possibly find a home for someone who prefers boilermakers?